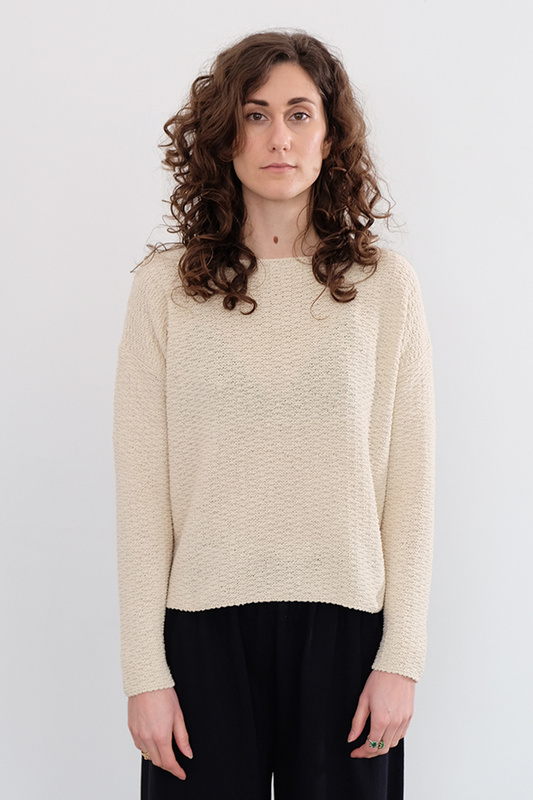 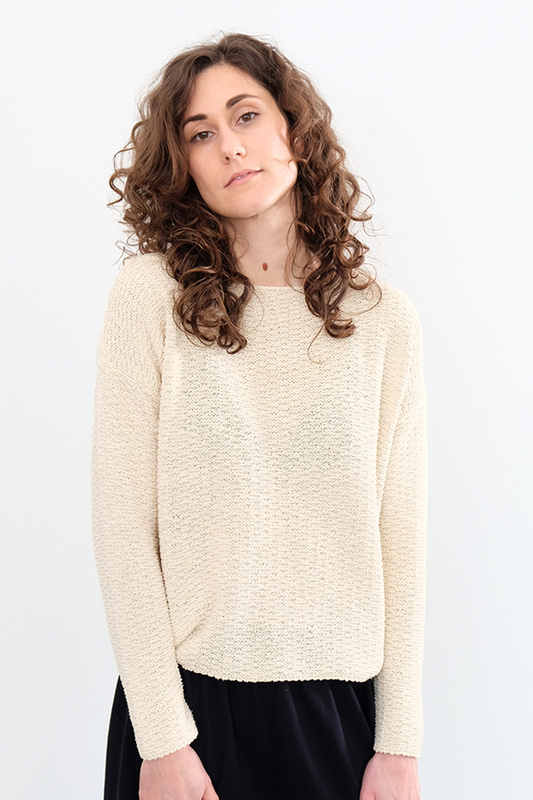 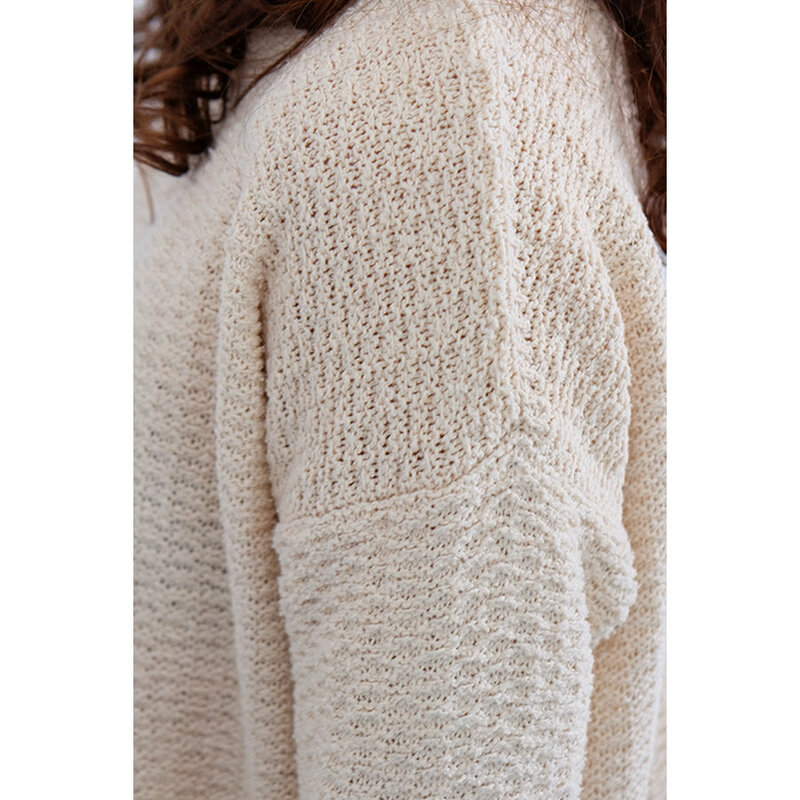 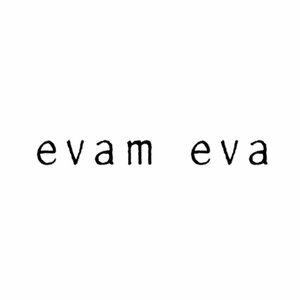 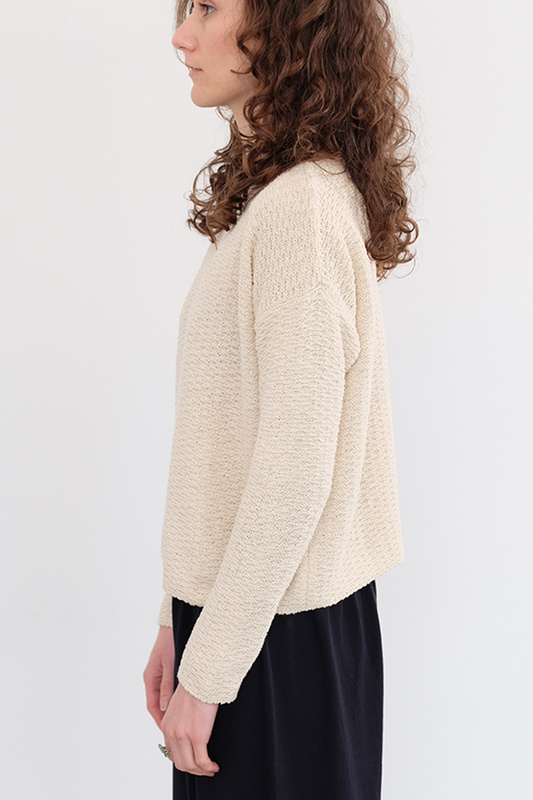 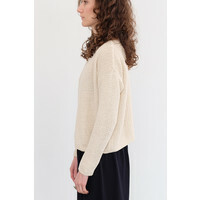 This tough and beautifully-cut box sweater from Evam Eva showcases a slight boat-neck and gather-free waist for a comfortable fit wherever it falls on the waist. 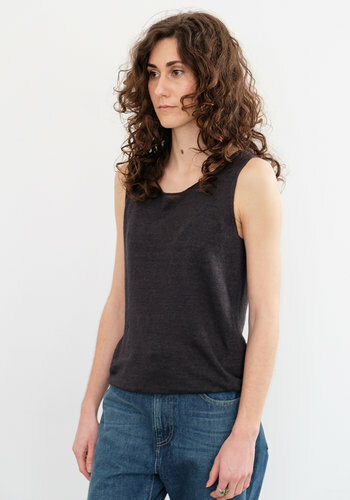 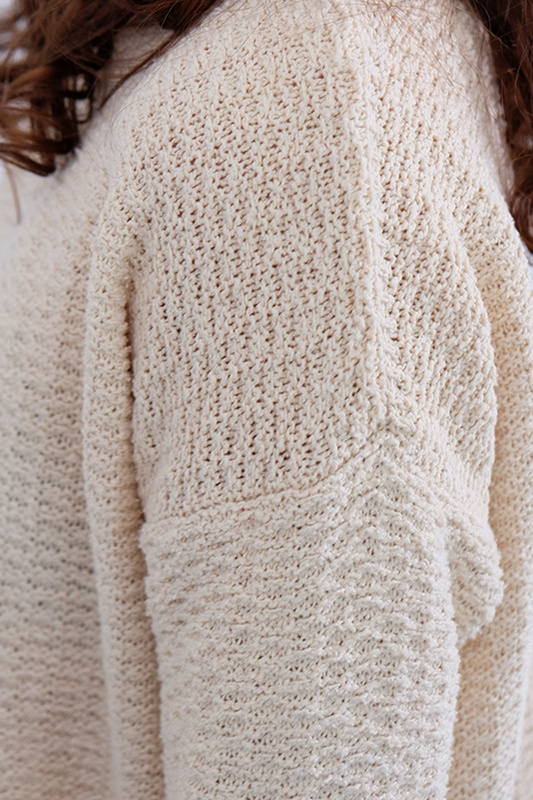 The silk yarn in this faded ecru has a slightly damper hand than you'd see on a knit so solid. 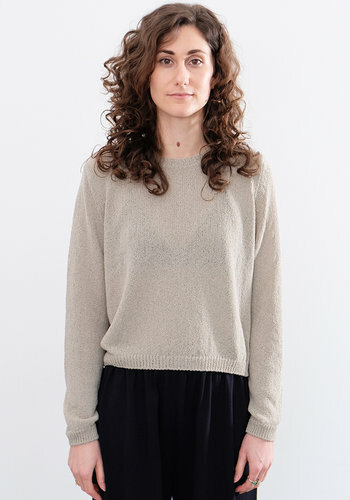 A truly special sweater.